a broken bone in your life. Your entire skeleton is completely replaced approximately every 10 years. The construction of bone tissue begins when we are a fetus in the womb, and continues until we die. Our genetics and both the nutrients we receive before we are born and those we get through our diet in our youth have a major influence on the strength and endurance of our skeletal system. of the calcium mix that helps to reinforce the collagen fibers and strengthen the bone. marrow consists mostly of fat cells and is more common in our long bones, such as the femur. protect against the danger of fractures due to osteoporosis. When you crave a food, the same reward justifys in the brain that are responsible for drug and alcohol addiction are more active: the hippocampus (memory), the insula (emotion and perception) and the caudate (memory and learning). These areas are all very receptive to dopamine and serotonin, neurotransmitters that are responsible for feeling relaxed and calm and which spur reward-driven learning. The reason you crave things such as ice cream, potato chips and chocolate is that these items are full of fat and/or sugar. 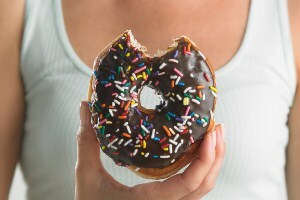 Both fat and sugar are involved in an increased production of serotonin and other chemicals that make us feel good. The term ergonomics stems from the Greek words ergon (work) and nomos (laws). According to the US Occupational Safety and Health Administration, ergonomics is defined as “the science of fitting workplace conditions and job demands to the capabilities of the working population.” Good ergonomics in the workplace is key to maintaining our body’s proper health and function, and it can have a major effect on the quality of our work. Ergonomics involves the physical stressors in our workplace as well as related environmental factors. For example, physical stressors are any activities that put strain on the bones, joints and muscles. These can involve things such as performing repetitive motions, vibrations, working in awkward positions and actions using excessive force. Environmental factors that contribute to bad ergonomics include loud noise, bad indoor air quality and improper lighting. Bad ergonomics can increase the risk of injury to the musculoskeletal system, causing conditions such as carpal tunnel syndrome, tendonitis and neck and back pain, as well as creating a range of other health problems, including sick building syndrome, eyestrain and hearing loss. However, there are steps you can take to improve your workplace ergonomics that can help reduce health risks. Cumulative trauma disorders, such as carpal tunnel syndrome and tendonitis, are caused by repetitive motions such as typing. To prevent this, set up your computer workstation in a way that allows your hands and wrists to be in as neutral a position as possible. When sitting at your desk, your chair should be at a height where your eyes are level with the top of your computer screen, and your arms are at a 45-degree angle for typing. Ensure that your wrists are not angled up or down or to the left or right. If your desk is too high to keep your forearms straight, raise the height of your chair and use a footrest to keep your feet from dangling. Your chair should be at a height where your feet are flat on the floor or on a footrest, while keeping your knees just slightly higher than the level of the seat. The chair should provide some light support to your lower back (use a pillow, if necessary) while allowing you to move freely. The arms of the chair should support your lower arms while letting your upper arms remain close to your torso. To reduce eyestrain, adjust ambient lighting to diminish glare and adjust the brightness and contrast until your eyes are comfortable reading. If you are working in a noisy area, use earplugs or headphones that cut ambient sound (but not set loud enough to damage your hearing!). Good ergonomics also involves taking frequent breaks. Move around, get some fresh air and focus your eyes on things at varying distances. Two American chiropractors have used applied kinesiology (AK) to aid the treatment of 21 patients experiencing urinary incontinence (UI), with considerable success. 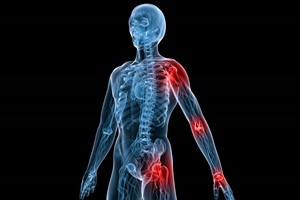 Applied Kinesiology is a technique that uses the strength of a particular muscle (often a muscle in the arm) to diagnose problems in certain organs or in other parts of the body. The practitioner places pressure on whichever of the patient’s muscles that corresponds the particular part of the body being assessed, and the amount of resistance it gives determines if there is a problem in that area. Urinary incontinence affects 10% of men and 40% of women at some point in their lives, with women being particularly susceptible to UI following childbirth. Current evidence suggests that weakness in the pelvic floor muscles, which leads to UI, can result from problems in other areas of the pelvis or lumbar spine as well as weakness in the pelvic floor itself. Chiropractic manipulation may thus be of considerable benefit in correcting these problems with a concomitant improvement in the symptoms of UI. Chiropractors Scott Cuthbert and Anthony Rossner assessed patients who had UI by using AK muscle testing to determine the presence and location of musculoskeletal disorders in the lumbar or pelvic regions. The precise nature of the problem was then assessed by physical examination. Muscle testing was again used to guide chiropractic manipulation treatment. Interventions that improved muscle strength were continued, and those that failed to do so were not pursued. Patients were seen for up to thirteen treatments, and for no more than six weeks. All of the patients treated experienced an improvement in UI symptoms, with nearly half (ten out of 21) reporting complete resolution of their condition following treatment. It is particularly significant that ten of the patients had presented with long-standing symptoms of UI (at least five years, but greater than 40 years in two cases!). Annual check-ups for at least two years confirmed that these improvements were maintained post-treatment. In addition to positively demonstrating the benefit of using muscle testing techniques to aid with chiropractic diagnosis, this research is important in showing the relationship between UI symptoms and musculoskeletal weakness in parts of the lower back and pelvis. A particular observation here was that the restricted breathing noted in many patients due to trauma to the diaphragm (and other muscle groups associated with inhalation such as the rectus abdominus and oblique abdominal muscles) was also found to impact on urinary continence. This study suggests that combination of AK and chiropractic manipulation of the lower back and pelvis may be very helpful for patients with UI symptoms. Please call us or visit our office with any questions.